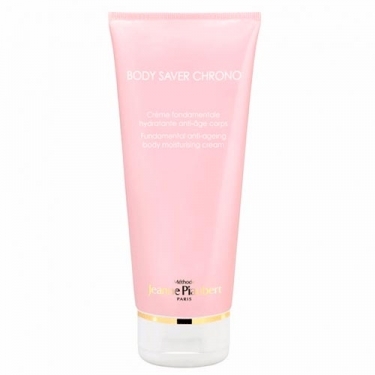 DESCRIPTION: Body Saver Chrono Crème Fondamentale from Jeanne Piaubert is an anti-aging body cream that leaves the skin noticeably younger for longer thanks to the Telodormin complex that preserves and enhances youth, and PhytoCellTec, which effectively limits the effects of aging while preserving stem cells. In addition, the active Télolife increases the life expectancy of the skin. It also has a moisturizing action, thanks to the Caspase-14 complex, combined with refined apricot kernel oil, which provides comfort and hydration to the skin. Apply morning and evening on the body clean and dry.